Physiotherapy can help people of all ages and activity levels. As we age, its essential that we don’t loose the ability to move freely and easily. A physiotherapy consultation can keep us functional, improve our balance, educate us and reduce pain. We can all benefit from the rehabilitation and treatment a physiotherapist can bring. A Physiotherapist improves the ability to live an active, independent and healthy lifestyle. Importantly they can provides specific advice and guidance during your rehabilitation or injury. Call The Hatfield Practice anytime if you wish to speak to one of our Physiotherapists. Alternatively if the phone lines are busy, why not book online its simple and convenient. Physiotherapy can help to keep people out of hospital. Providing same day treatments is important as physiotherapy can reduce inflammation quickly. Fast pain relief reduces the need for a GP visit and pain killers. Physiotherapy works by improving the range of movement and reducing pain by improving strength and blood flow. Studies have show that treatment within a week can positively influence healing rate . The Hatfield Practice will refer to other specialists such as Osteopaths, Gp’s or surgeons if required. Physiotherapy can help a wide range of problems. The Hatfield Practice use a wide range of treatments and techniques that experience has shown work well. Treatments can include relaxing deep tissue massage, active mobilisations, spinal manipulation, modern ultra sound electrotherapy and bespoke exercise treatment programmes are used in order to aid your recovery. Physiotherapists effectively treat a wide variety of problems. Osteo – arthritis, spinal scoliosis, rheumatoid arthritis, many types of injuries, pain, swelling, general stiffness. Back and neck pain – protruding or prolapsed discs e.g trapped nerves or ‘Slipped Discs’, numbness and weakness. Knee Injuries respond very well. Including Ligament & Cartilage damage including pre /post -operative strengthening. Restless leg syndrome, Pain the legs at rest and at night. Sports Injuries – commonly muscle pain, ligament sprains, cartilage crush / swelling, knee / hip capsule and tendon problems. Muscle and ligament tears/ strains. Stiff necks respond very well. 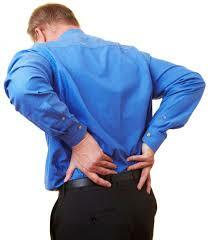 Painful backs respond very well and often resolve quickly. Whiplash, any sort of physical trauma, rugby etc, falls, RTA’s, medical legal claims, rehabilitation to aid recovery after surgery. Physiotherapy can help fractures and spinal Injury. Tennis elbow/ golfers Elbow, tendonits, crush injuries at work etc. Discomfort due to poor habits. Ergonomic advice is especially for manual workers and computer users. Joint Replacements respond well to physiotherpy. Fractures rehabilitation and function improved. Personal Injuries e.g accidents occurred from falls, driving or work.